Private nature setting on the Georgian Trail west of Georgian Peaks & across from Georgian Bay. 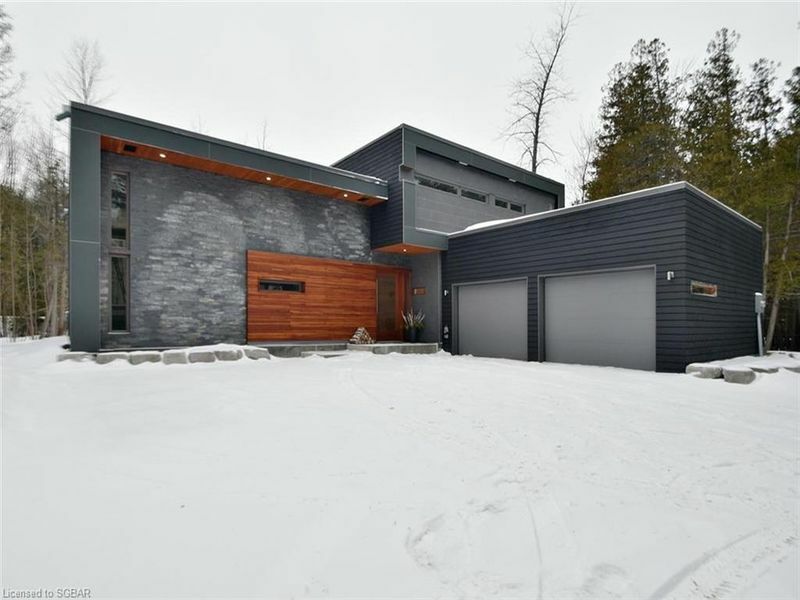 Modern, super efficient, open concept home. Kitchen features pot tap over a 6 burner gas stove & a white marble island with a sleek vegetable sink, Slate/marble floors. Great lighting. 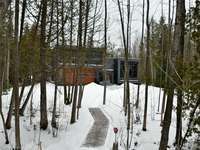 Dining room opens to a big deck w/sunken firepit, trees and trail. Living room has 15' high wood ceilings, a wood burning fireplace, storage, a library wall with a sliding librarian ladder to the upper library. 4 berms, 3 baths. 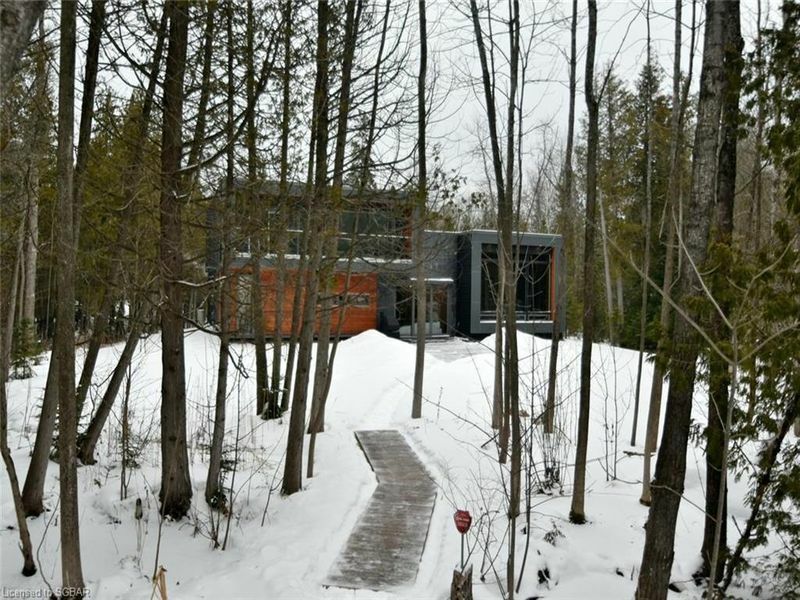 master has large spa ensuite w/o to balcony & a tranquil view thru trees to trail. 4th bedroom is on the mn fl & could be a master. It has privileges to a 3rd bath. Your feet will never be cold. There is radiant heat on both levels. Remote alarm (Rogers), 2 skylights, ent. to the garage. Nature features. It is nicely tucked away down a lane with ample parking. Built w/efficiency includes triple glazed windows, doors,insulation, heated floors,so low costs, super quiet & warm comfort.